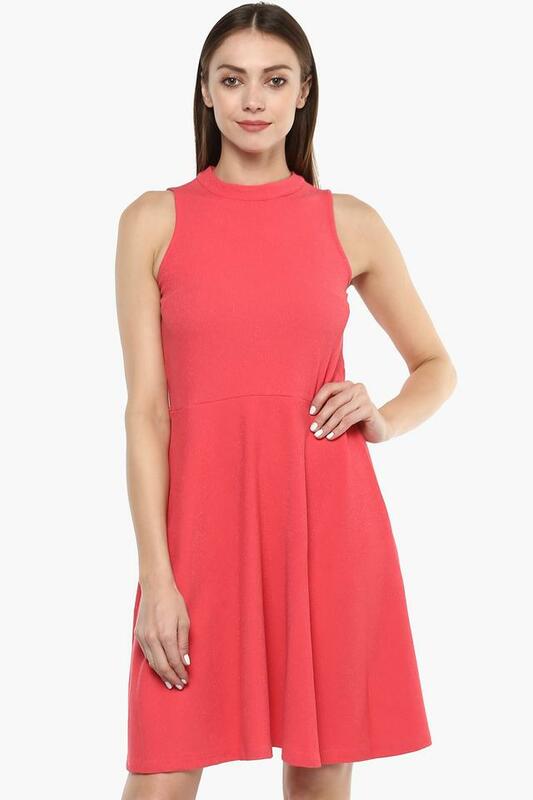 Embrace your inner rebel chic as you step out in style, wearing this flared dress from Anita Dongre. Made from good quality fabric, it will provide you with immense comfort throughout the day. 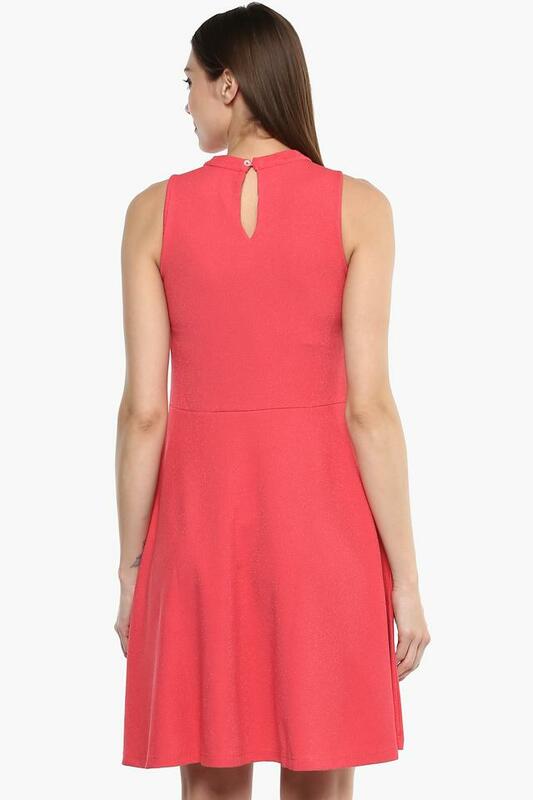 Featuring a round neck and self pattern, this sleeveless midi dress possesses a stunning suaveness. To walk in style with a monochrome look, team this dress with a pair of sandals.